At 15-years-old, Ricko Dupri Sample has major achievements to his name. He published one book with Tellwell at age 13, then another at 14. He’s heavily involved in the arts, not just as an author, but as an actor, model, dancer, and musician. Oh, and on top of all that, he’s also several years ahead in school, so much so that in grade 7 he started taking grade 10 classes, and now at 15, he’s in his second year of college in Washington State. “It feels like an accomplishment, but in my opinion, it’s just the beginning,” said the young author. Two years ago, at 13-years-old, Sample, began acting, modelling, and attending college. That’s when he also began writing his first book Bigfoot Untold. 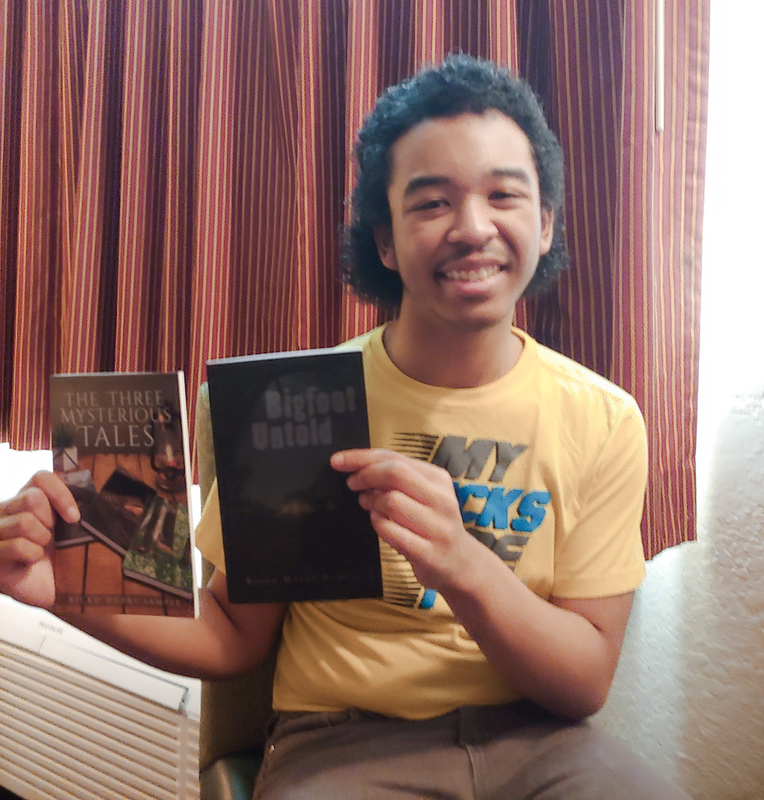 It started off as a screenplay to submit to a writing competition, but then, being as determined as he is, decided to turn it into a book. 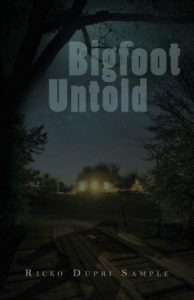 In Bigfoot Untold, Sample shares his mother’s stories of growing up in an Indonesian village and the encounters she and others had with a mysterious and elusive creature. Sample says his mother had gravel thrown at her by the creature, and in her village a child was kidnapped and put into a dumpster. The child wasn’t physically harmed but was emotionally and mentally traumatized. 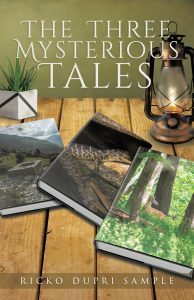 Sample’s tales are different than how Bigfoot stories are traditionally told. Usually set in the Pacific Northwest, Big Foot or Sasquatch often appears as a large, shaggy man-ape creature lurking in the forest who is spotted by an unsuspecting human. Sometimes only the creature’s very large footprints, or howls are what give him away and other tales describe face-to-face encounters. In Sample’s book, Bigfoot is a trickster, actively wreaking havoc on his mom’s village with his mean and sometimes devastating pranks. Sample says his mom made sure the story was an accurate depiction of what she and others in her village experienced. “I decided to publish these stories because they are unique and interesting. These are stories people in the United States haven’t heard of,” he said. 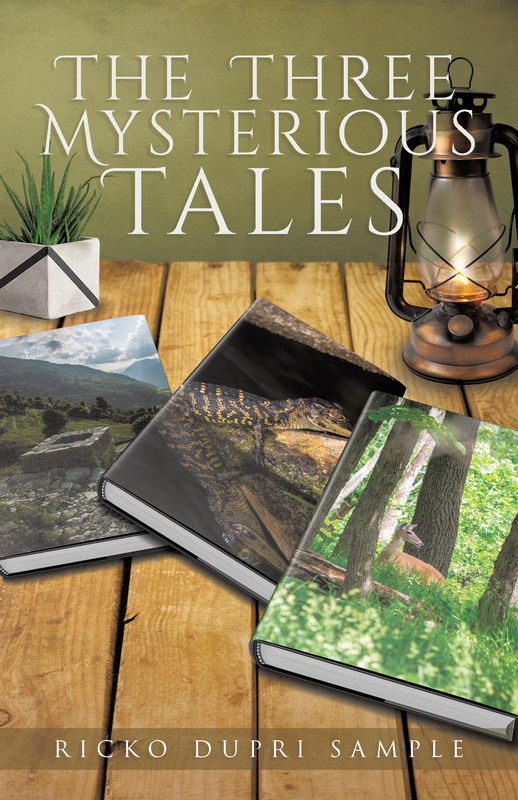 Sample’s second book, The Three Mysterious Tales, is a collection of three different stories based on legends as well as true events, that also involve encounters with an unknown supernatural figure. His parents have played a big role in encouraging his various talents and passions. For this multi-talented teenager, writing and publishing books is a fun hobby and a rewarding experience. “I don’t think of making books as a main career. I’m doing it because I can and I find it interesting, rewarding and satisfying,” he said. His career goals are in the film industry, to work as a professional actor, and also write screenplays. The royalties from his book are re-invested into his acting career. So far, he’s been in a commercial and short-film but will move with his family to Los Angeles in the fall to have more opportunities to audition and act. He also plans to transfer to a four-year university program in California to finish his Fine Arts degree. Sample admits juggling academics with acting can be a hard balance. The 15-year-old has already accomplished an incredible amount, but he’s right – this is just the beginning.